(left) Veruschka photographed by Franco Rubartelli, styling by Giorgio di Sant’Angelo. Vogue,1968. (right) design by Qui Hao, photographed by Matthieu Belin, 2011. from the blog Fiercer Than You. 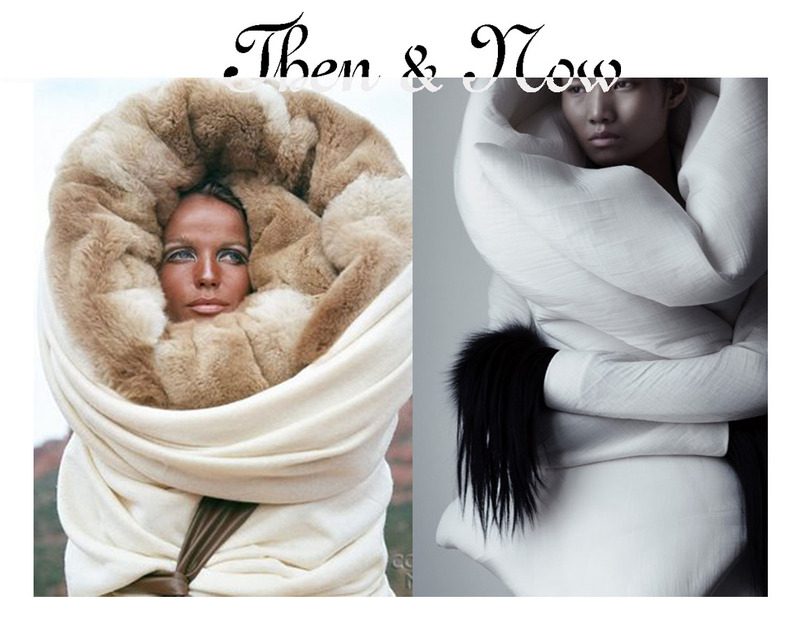 This entry was posted in Then&Now and tagged Fashion Photography, Franco Rubartelli, Giorgio di Sant'Angelo, Matthieu Belin, Qui Hao, Veruschka. Bookmark the permalink. I believe the Veruchka Vogue editorial is from the time imaginative Diana Vreeland had sent Georgioi di SaintAngelo with some fabrics to do it before he became a fashion designer, when he was still a sculpture.